For Duke University's men's basketball team, the playing of "One Shining Moment" meant they had just won their fourth NCAA championship. 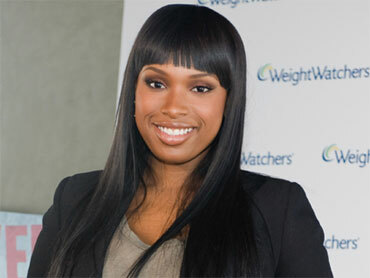 For Jennifer Hudson, it meant an onslaught of criticism over her rendition of the song. The "American Idol" alumna recorded a rendition of the song, which is traditionally played along with a montage of tournament moments after the final game. But her version, and the montage played with it, didn't sit well with fans. If "One Shining Moment" is searched on Twitter, a lengthy list of users who have discussed Hudson's version appear. One commenter on Twitter called Hudson's version "horrendous," while another said she "ruined 'One Shining Moment' for all the basketball players and fans." On YouTube, commenters also expressed their distaste for Hudson's rendition of the song, which has also been recorded by Luther Vandross, Teddy Pendergrass and David Barrett. "I was disappointed when I finally saw the 'new' version of 'One Shining Moment,'" one YouTube commenter wrote. "It did not seem to have the same momentum as previous arrangements." Another called the new version "horrible." "CBS just wanted to put a modern face on this beautiful song," that commenter continued. "What they did was put a horrible rendition on this classic song." Others took issue with Hudson's presence in the montage of tournament moments that was played along with the song. One Twitter user wrote of the montage, "We don't need shots of Jennifer Hudson. Why do you have to ruin One Shining Moment? How is that even possible?" Another denounced the singer's presence, saying the montage was "not a music video." A YouTube commenter agreed, writing, "Why are there clips of her singing? Ruined one of the big moments of the tournament." The Sporting Blog summed it up simply, writing on their Twitter account, "That was not my 'One Shining Moment.'" Listen to Hudson's rendition of "One Shining Moment:"